I've just been preparing for a new course at Ernst & Young's UK headquarters. One of the exercises I'm planning to use will be centred on proverbs. In creating the exercise I came across some wonderful sayings from around the globe, but this one from Japan particularly resonated with me as a writer: "Fall seven times, stand up eight." Which then reminded me of a quote by Samuel Beckett: "Ever tried. Ever failed. No matter. Try again. Fail again. Fail better." This post is about failing and falling and then trying to fail better. In July 1994 I went to my first war zone. The Dayton Peace Accord had not been signed and the beautiful World Heritage City of Mostar in Bosnia-Herzegovina was still under siege, their magnificent Ottoman bridge destroyed, the stones lying on the bottom of the River Neretva. The experience of being in a country, and city, at war was overwhelming. While I was there, I kept a diary which resulted in my first attempt at non-fiction: a 5,000 word article entitled "Behind God's Back". 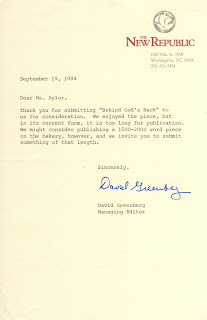 My agent at that time, Rogers, Coleridge & White, did not handle journalism so they suggested that I submit it to The New Yorker and The New Republic. The New Yorker politely turned it down, saying they were swamped with contributions from their own correspondents and were not commissioning any new work. The New Republic said they might be interested in publishing it if was cut to 1500 - 2000 words and centred on the War Child bakery that was then feeding the town. I looked at the story, again and again. 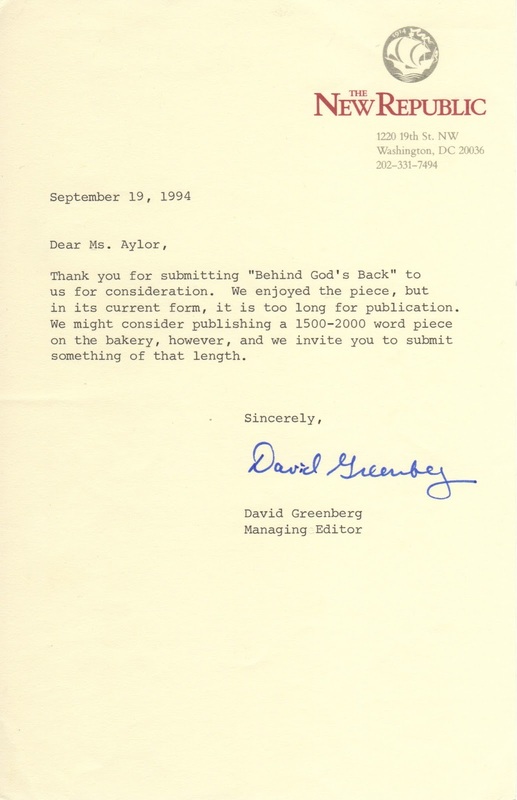 I wanted desperately for "Behind God's Back" to be published. Not for vanity's sake, but to let people know about the war that was destroying a nation that, like Spain in the Thirties, had not been allowed to defend itself. If I did find a way to cut it, the story would be bowdlerised and, worse, that it would be a betrayal to the Bosnians I met who faced their terrible reality with such bravery, humour and, even more startling, forgiveness for their enemy. The only choice was to put "Behind God's Back" in my bottom drawer and forget about it. Fast forward 21 years. 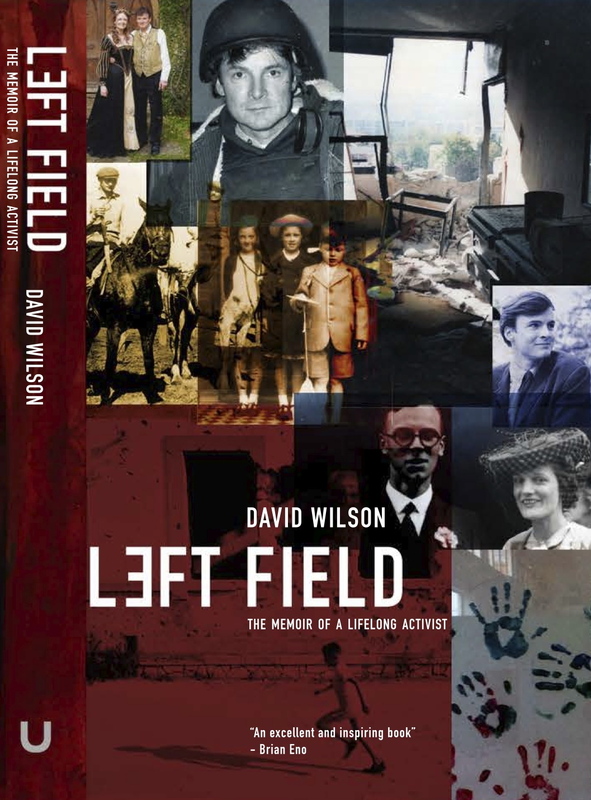 My husband's book, Left Field: the memoir of a lifelong activist, was accepted by the publishers, Unbound. In it, he records his time in Mostar as the first director of the Pavarotti Music Centre. We both felt that my account of life there should be included in the book and, to our delight, Unbound agreed. All this time later, "Behind God's Back" can finally be read. A failure the first time round, but this time a better one.